The probe agency had earlier attached a Delhi farmhouse in connection with its money laundering probe against Bharti and her husband, Shailesh Kumar. 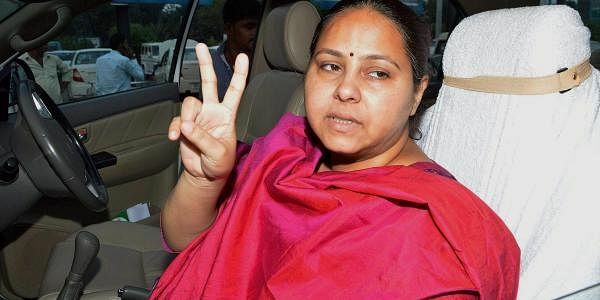 NEW DELHI: The Enforcement Directorate (ED) today filed charge sheet against RJD chief Lalu Prasad's daughter Misa Bharti and her husband in a money laundering case. ED counsel Nitesh Rana filed the charge sheet before the court of Special Judge N K Malhotra. It belongs to Bharti and Kumar and is "held in the name of Ms Mishail Packers and Printers Private Limited", the central probe agency said. "It was purchased using Rs 1.2 crore involved in money laundering in the year 2008-09," the ED alleged. One of the firms that the arrested duo dealt with was Mishail Printers and Packers Private Limited. "It was only during the year 2009-10 that the address was changed to farm no 26 Palam Farms, VPO Bijwasan, New Delhi. Bharti and Kumar were the directors of the company during the relevant period," it said.